The number of mobile internet users and the proliferation of connected devices have led to the exponential growth in global internet traffic. These traffic will make more network providers to upgrade their networks and introduce more optical assemblies like fiber optic cables, fiber optic connector, fiber optic transceiver, etc. The using of fiber optic connectors has been the biggest concern in fiber optic systems. 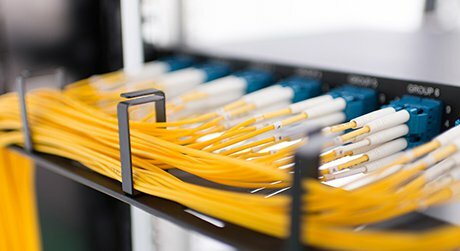 While optical connectors were once unwieldy and difficult to use, fiber optic connector manufacturers have standardized and simplified optical connectors greatly in recent years. This enhances the convenience of fiber optic connector usage, fiber optic connector cleaning and termination in optical fiber systems. This tutorial provides an in-depth analysis of fiber optic connectors including its structure, types and market trends to help you select the right optical connector for your optical links. What Is Fiber Optic Connector? Fiber optic connector, or optical fiber connector, is a component to terminate the end of fiber optical cable, and enables quicker connection and disconnection than fiber splicing. 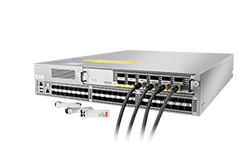 It mechanically couples and aligns the fiber cores to make light pass successfully. Therefore, fiber optic connector has an important impact on the fiber optic transmission reliability and the performance of the system. Quality optical connectors lose very little light due to reflection or misalignment of the fibers. Fiber optic connector types are as various as the applications for which they were developed. Different connector types have different characteristics, different advantages and disadvantages, and different performance parameters. But all connectors have the same three basic components: ferrule, connector body, cable, coupling device. Ferrule: the ferrule acts as a fiber alignment mechanism and holds the glass fiber. It has a hollowed-out center that forms a tight grip on the fiber. Ferrules are typically made of metal, ceramic or quality plastic. Connector Body: also known as the connector housing, the body holds the ferrule and attaches to the jacket and strengthens members of the fiber cable itself. It is usually constructed of metal or plastic and includes one or more assembled pieces which hold the fiber in place. Coupling Device: coupling device is a part of the connector body that keeps the connector in place when attached to another device like as bulkhead coupler and optical transceiver. Low insertion loss: Insertion Loss is smaller the better. Generally speaking, the required value of insertion loss should not be more than 0.5 dB to ensure a quality fiber link. 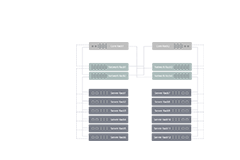 High return loss: return loss is a measure of how well two connectors or lines are matched. The higher the return loss, the lower the insertion loss. High reliability: outside plant applications may require fiber connectors be located underground, or outdoor walls. High reliability connectors are needed in these harsh environments to make sure smooth optical transmission. Ease of use: currently fiber optic connectors can generally be plugged more than l000 times. Therefore, a fiber connector that is easy to use will help users save lots of installation time and improve working efficiency. 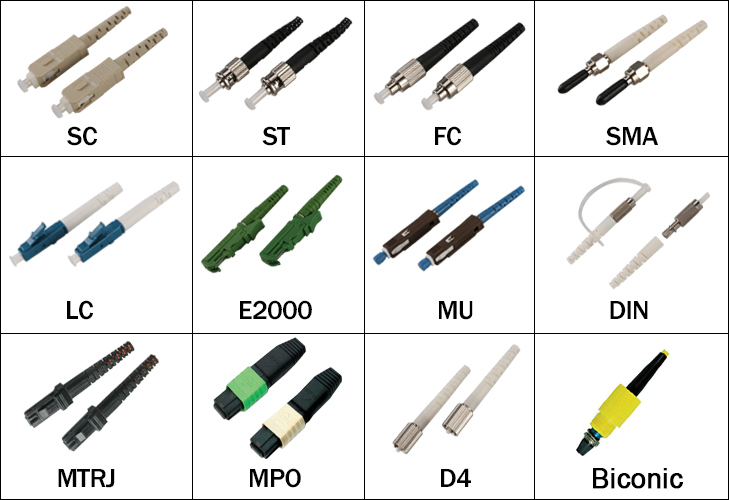 According to the different classification methods, fiber optic connectors can be divided into different types. For example, according to the pin end surface of the connector, they can be divided into PC, UPC and APC. 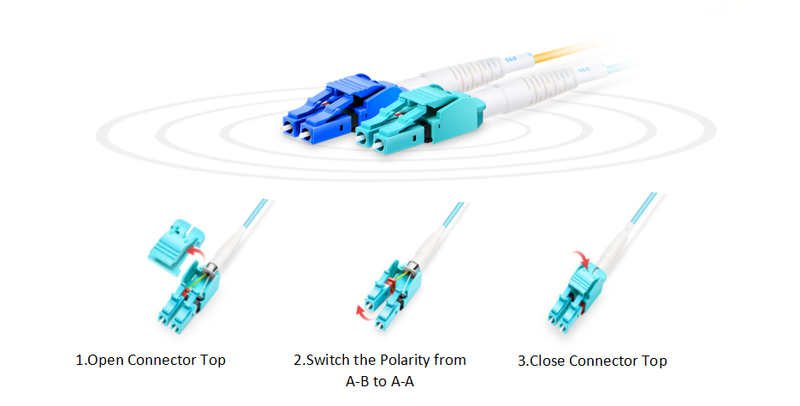 According to the different transmission media, fiber connectors can be divided into single-mode and multimode fiber optic connectors. 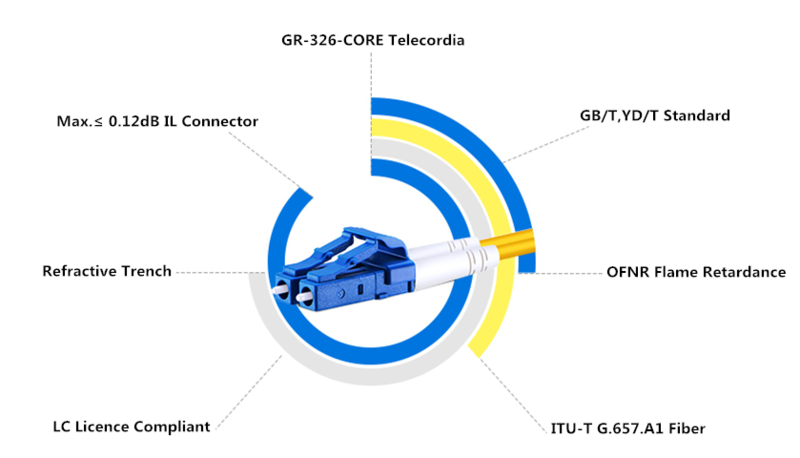 In all, about 100 fiber optic connectors have been introduced to the market, but only a few represent the majority of the market. 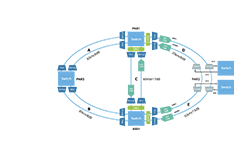 Here is a rundown of the connectors that have been the leaders of the industry. LC Connector: LC fiber connector provides a fully proof design and small size perfect for high density applications. It is available in simplex and duplex versions. And LC connector is featured with a 1.25mm zirconia ferrule. It can improve the density of optical fiber connector in the optical fiber distribution frame. Otherwise, it's a standard ceramic ferrule connector, easily terminated with any adhesive. SC Connector: SC fiber connector is a snap-in connector with a 2.5mm ferrule that is widely used for its excellent performance. The end face of the pin is used more PC or APC model grinding method. Their ceramic ferrules provide accurate alignment. Typical matched SC fiber connectors are rated for 1000 mating cycles. SC connector features with low price, involve loss small ripple, and high compressive strength. MPO/MTP Connector: The MPO connector is the industry acronym for "Multi-fiber Push On", with push-on insertion release mechanism, provides consistent and repeatable interconnections and available with 8, 12, or 24 fibers. MTP® is a trademark of US Conec for MPO connector. The MTP/MPO connector is manufactured specifically for a multifiber ribbon cable. FC Connector: FC connector was originally developed by NTT, Japan. FC is short for FERRULE CONNECTOR. It also uses a 2.5 mm ferrule, its external strengthening way is to use metal sleeve, fastening way as the turnbuckle. FC connectors are constructed with a metal housing and are nickel-plated. This kind of connector is simple in structure, convenient operation. ST Connector: ST connector has a bayonet mount and a long cylindrical 2.5mm ceramic (usually) or polymer ferrule to hold the fiber. Most ferrules are ceramic, but some are metal or plastic. ST connectors are constructed with a metal housing and are nickel-plated, can be inserted into and removed from a fiber-optic cable both quickly and easily. MT-RJ Connector: MT-RJ is a duplex connector used with single-mode and multimode fiber optic cables. It uses pins for alignment and has male and female versions. MT-RJ connectors are constructed with a plastic housing and provide for accurate alignment via their metal guide pins and plastic ferrules. The typical insertion loss for matched MT-RJ connectors is 0.25dB for SMF and 0.35 dB for MMF. MU Connector: MU connector looks like a miniature SC with a 1.25mm ferrule, with a simple push-pull design and compact miniature body. 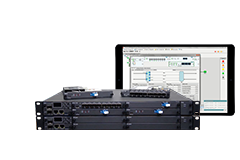 It is used for compact multiple optical connectors and self-retentive mechanism for backplane applications. MU connectors are the optical connectors which miniaturized and were advanced the density application and performance. DIN Connector: DIN is an abbreviation for Deutsches Institut für Normung or German Institute for Standardization, which is a German manufacturing industry standards group. 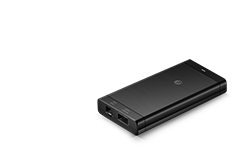 DIN connector encompasses several types of cables that plug into an interface to connect devices. It is round, with pins arranged in a circular pattern. Typically, a full-sized DIN connector has three to 14 pins with a diameter of 13.2 millimeters. This type of connector was used widely for PC keyboards, MIDI instruments, and other specialized equipment. E2000 Connector: E2000 fiber optic connector has a push-pull coupling mechanism, with an automatic metal shutter in the connector as dust and laser beam protection. One-piece design for easy and quick termination, used for high safety and high power applications. 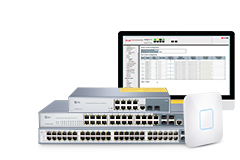 E2000 connector available for Singlemode PC, APC and Multimode PC. SMA Connector: Amphenol developed the SMA from the "Subminiature A" hence SMA, microwave connector. The model 905 had a machined ferrule exactly 1/8 inch in diameter that mated in a machined adapter. When the adapters were not precise enough for better fibers, a necked-down ferrule that mated with a Delrin adapter for better insertion loss performance. These connectors are still in use on some military and industrial systems. D4 Connector: D4 connector was probably the first connector to use ceramic or hybrid ceramic/stainless steel ferrules. It's keyed and spring loaded, the ferrule has a 2.0mm diameter ferrule. D4 connectors have a high-performance threading mounting system and a keyed body for repeatability and intermateability. 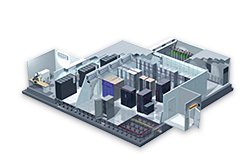 As the networking environment is becoming more complicated, more high speed and high density solutions are needed to simplify cable management in data centers. LC fiber connector, as one of the widely used fiber connectors in optical links, provides an ideal solution for high-density telecommunication room, LANs, and FTTH. Here are three LC fiber connectors for high density and high efficiency cabling systems. Compared with standard LC connector, uniboot LC fiber connector can increase more than 60% space in high density cabling. Because it has thinner body that combined two fibers in one boot. 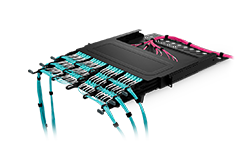 With this unique structure, uniboot LC fiber cable and connector have more advantages over traditional LC fiber patch cables in high density cabling environment. Changing fiber polarity can be time-consuming and troublesome, especially in complex cabling process. Switchable LC fiber connector, as its name shows, can help cable managers solve this problem easily. This type of LC connector allows the fiber polarity to be switched from A-B to A-A without any tools. As has mentioned above, fiber optic loss is an important parameter to measure the quality of a connector. Ultra low loss LC connector has the maximum insertion loss only to 0.12dB, which can ensure high quality optical transmission. In recent years, the global marketplace has been driven by the increasing adoption of fiber optic technology. And fiber optic cables are widely used to replace copper cables, which have a positive impact on fiber optic connector market. Here is a report about U.S fiber optic connector market from 2014 to 2025 (USD Million). 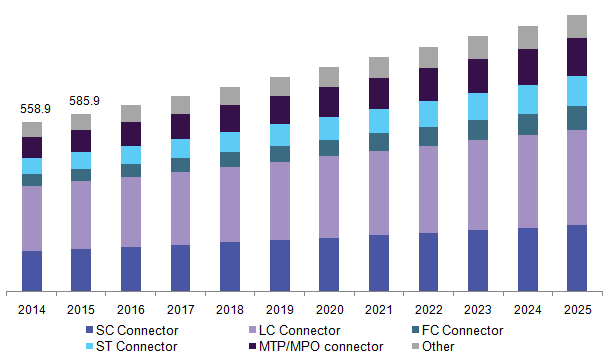 From the chart, we can see that the market need for MTP/MPO connector will grow in the coming years. LC fiber connector still occupies the major optical connector market. 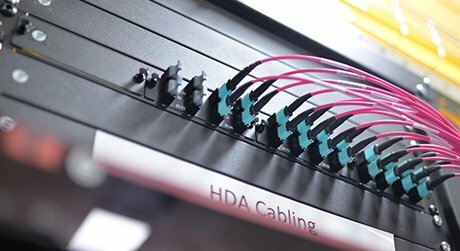 These show that high density, high quality and multifiber optical connectors still have great improvements. And we can anticipate that, as the growing demand for efficient cabling and cable management, fiber optic connectors which can provide easy installation, low fiber loss and high performance will be the new trend in optical communications.